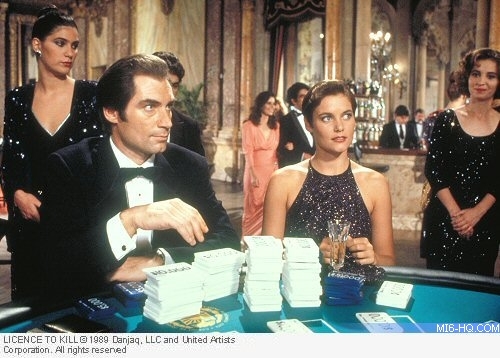 Only Bond: The only Bond to have performed with the Royal Shakespeare Company before becoming 007. "It's very important to make the man [James Bond] believable so that you can stretch the fantasy. Whether people like this kind of Bond is another question." During his school years, he attended several stage and theatre productions including Shakespeare's "Macbeth", which reportedly inspired Dalton to make a career on the stage. Also in school, Dalton first performed in "Arms and the Man" - a George Bernard Shaw play in which Timothy played Sergius, a gallant war hero. Dalton continued to perform on stage in a variety of productions, including "Billy Lair" at a local theatre. Dalton began his professional dramatic career on tour with the National Youth Theatre. In 1964 he won a role with the company's Shakespearian production of "Coriolanus" at London's Queen's Theatre. After leaving high school and with an already impressive resumé, Dalton won a place in the prestigious Royal Academy of Dramatic Arts in London. He never completed his course at RADA, and freely admitted that he found teaching was no substitute for intuition or experience when it came to acting. After dropping out early, Dalton set about finding an acting job. In 1966 he was welcomed back to the National Youth Theatre in London where he won the lead and title role in "Little Malcolm and His Struggle against the Eunuchs" as well as "A Game Called Arthur". Through his work with the Youth Theatre, Dalton began to build on his range of roles and broaden his talents as an actor. After a run of "Little Malcolm And His Struggle Against The Eunuchs" Dalton was signed to the Birmingham Repertory Theatre. Soon after accepting that contract, Dalton's workload doubled as he began to be noticed by a range of influential film and television personalities. 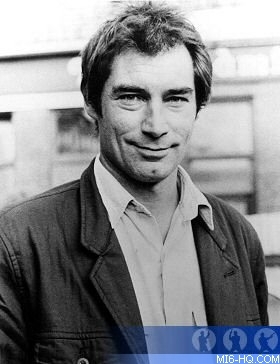 In the late 1960's, he was picked up for a role in "Sat'day While Sunday", a north-London based mini series in which he featured in 11 episodes. The production shot during the day every Saturday and Sunday so that Dalton could still fulfill his contract with the Repertory Theatre. In 1968, Dalton made his breakthrough in to cinema in the Academy Award winning drama "The Lion In Winter". Based on the play by James Goldman, Dalton made his film debut as King Philip of France in this production. He played opposite screen legends such as Peter O'Toole (who had recommended Dalton for the role), Anthony Hopkins (who also made his Hollywood break with this picture), and of course the stunning Katharine Hepburn. After this auspicious start in film, Dalton returned to local UK stage productions before winning a role in the BBC's "The Three Princes" which aired on UK television in the winter of 1968. Through carefully selecting each job and being ever determined to make the very best of each part he took on, Dalton began to develop a name for himself in the industry. It was in '68 that he was first approached by Bond producers, Albert R. Broccoli and Harry Saltzman to star in their latest Bond picture - "On Her Majesty's Secret Service". Dalton turned down the role out of respect for the character, feeling he was too young to accurately play the famous British spy. However, he left a distinct impression with Broccoli, who vowed he would not take no for an answer next time. Dalton continued to work an impressive and varied career as an actor and stage producer - taking on roles in the film adaptation of "War and Peace" and 1979's "Agatha", a biopic of crime-writer Agatha Christie, all the while developing his real dramatic passion: Shakespeare on stage. Dalton performed on stage in "Royal Hunt Of The Sun" and "Mary Queen Of Scots" alongside Vanessa Redgrave during 1970, and portrayed Macbeth in Shakespeare's great tragedy the following year. He would not return to the big screen until 1970 when Ken Hughes offered him the role of Price Rupert in his historical drama "Cromwell". Eight years later, Hughes and Dalton would work again on "Sextette", a more modern production than those in his previous resume but one that would begin to make Dalton a more globally recognised name. "I don't think that Bond is a role model or that he should be a role model. He's only part of a particular kind of story. I don't think anyone should grow up wanting to go around killing people. I don't think anyone should grow up wanting to be a secret agent." In the 1980s, Dalton began to work on an increasing number of American productions, finding the public lack of interest in the stage disheartening. His short stint in the US included "Chanel Solitaire" a moody biopic of Gabrielle 'Coco' Chanel, and the Hughes picture "Sextette". Dalton returned to London to shoot the pulpy action flick, "Flash Gordon" and tried his hand as a presenter in this era - hosting a variety of documentaries, notably "Survival Factor" which aired in 1987. In the late 1980s, Dalton returned to the UK once more and committed two further Shakespearian roles to his CV - "Antony and Cleopatra" in 1983 and "The Taming of The Shrew" in 1988 - both for the BBC. In the Bond world, Moore's contract was drawing to a close and it soon became clear that he would not be renewing his double-oh licence. Dalton was called to audition for 007, now a more worldly actor, where he performed two scenes from "On Her Majesty's Secret Service" - the film he turned down. Although he was offered the part almost immediately, Dalton took two weeks to accept the role. The classically trained actor was able to step into the super-spy's shoes last minute, as a theatre run Dalton was performing in was about to close and the other hot name - Pierce Brosnan - was tied to the US hit show "Remmington Steele". 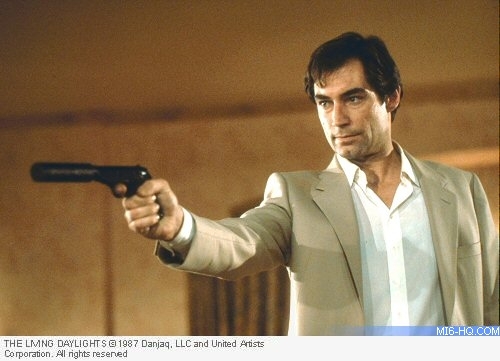 Dalton was introduced to the world as James Bond on August 7th 1986, and a month later was whisked to Vienna, Austria to begin location shooting for his first 007 adventure "The Living Daylights". While at first Dalton was weary of his newfound fame Bond had thrust upon him, he delivered a remarkable performance as 007 and held the job in the highest respect. Dalton brought a Fleming-esque realism to the shoot and the writers of the day made many alterations to suit Dalton's Bond. 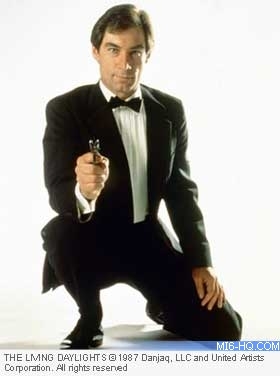 Despite the disappointing revenue and severe lack of publicity for his second outing "Licence To Kill", Dalton had intentions of a 3rd Bond picture - as his 007 contract extended him until the early 1990s. 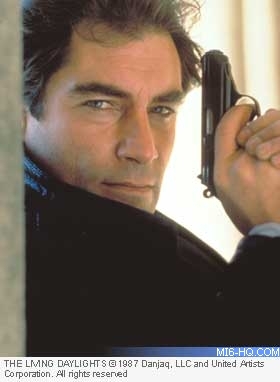 After the legal battles put a delay on Bond 17, Dalton stood down from the role of 007 in a Variety-covered press release on April 12th, 1994. After his short stint onscreen as 007, Dalton continued to perform regularly in theatre and dabbled in the US movie market with Disney's "The Rocketeer" and even signed onto a big-budget biopic of Christopher Columbus, later bowing out of the production due to disagreements and a change of creative staff. In 1994 Dalton took the lead in "Scarlet" a brilliant historical drama and the follow up to "Gone With The Wind". The period mini series clinched two Emmy awards for art direction and hair and makeup. That same year Dalton read "Peter and the Wolf" to two sellout crowds at a live performance at Los Angeles' Hollywood Bowl. "Richard Burton was Welsh; Tom Jones is Welsh, and we Welshmen like to think of ourselves as heroes - on screen and off!" Dalton appeared in many productions with British star Vanessa Redgrave and while nothing was ever formalised, Dalton remained close friends with the actress from 1980 until 1994. Dalton was later married for a short spell to Russian composer Oksana Grigorieva with whom he had one son, Alexander. Dalton resides in Los Angeles today performing in selected films and stage productions.